Ideal for corner workstations, the WorkFit-A clamps to the rear or side of most surfaces and enables an effortless sit-and-stand work style. 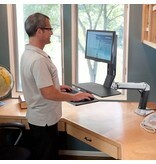 Fold the keyboard up and swing the arm out of the way when you need your desk surface. 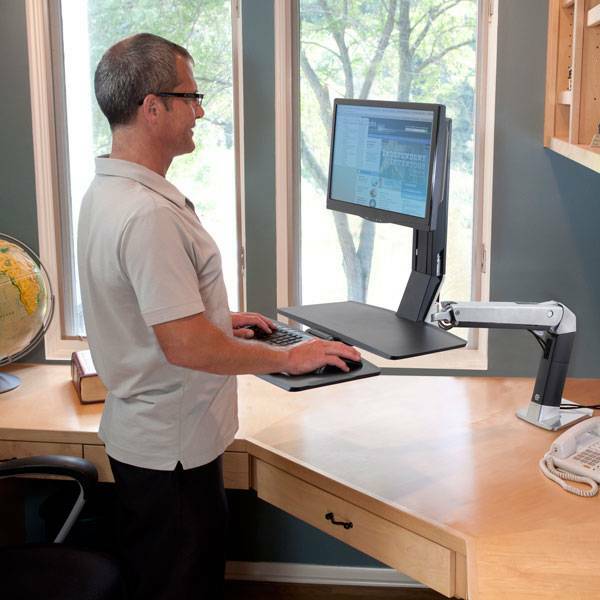 Change from a sitting to a standing position whenever you want. 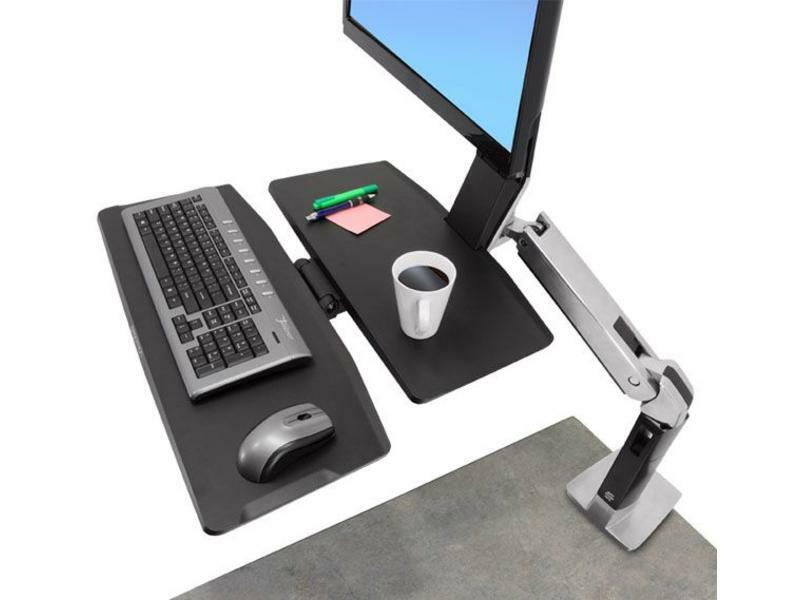 This height-adjustable desk workstation moves your keyboard and display in one simple motion, making computing comfortable for prolonged periods. 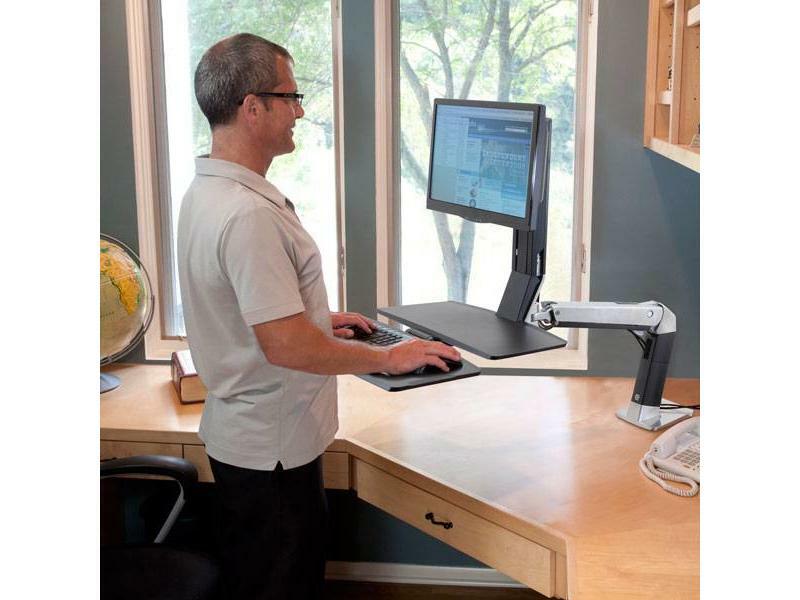 - On-demand sit-stand workstation—improve your energy and productivity by standing or sitting as you work, and then switch positions whenever you choose. Standing a little more each day burns extra calories, tones muscles, improves posture, increases blood flow and ramps up metabolism. - Safe, easy-to-use—simple installation and effortless operation. - Easily and simultaneously lift keyboard and screen to proper height for unsurpassed ergonomic comfort. 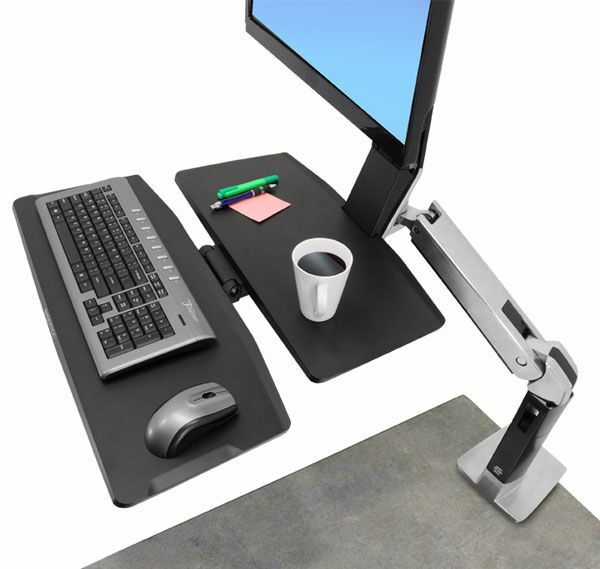 - Patented Constant Force lift technology provides fluid, one-touch adjustments of the keyboard and monitor positions for personalized computing. 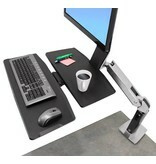 - Fold keyboard up and swing arm and monitor out of the way when you need your desk surface. 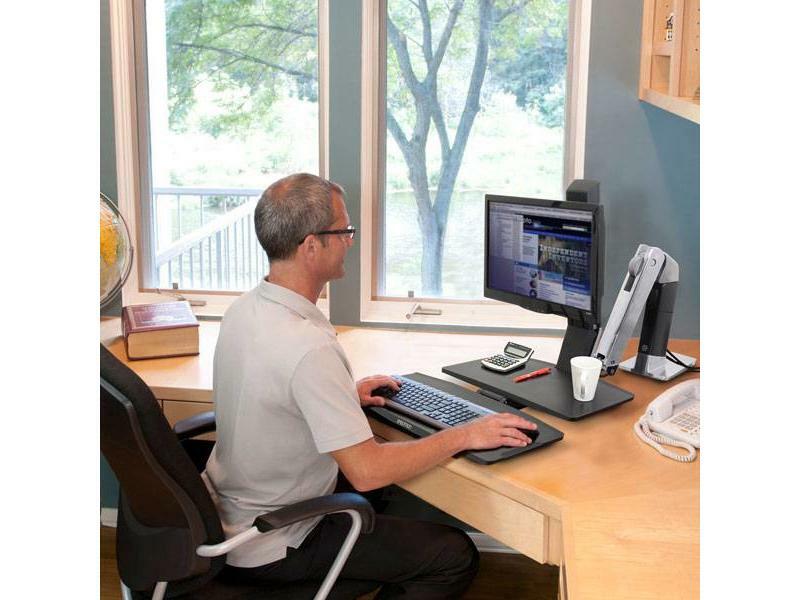 - Included worksurface provides ample space and quick access to a tablet computer, phone, cup of java or task-related items. - Flexible, open-architecture design is scalable for future computer equipment. 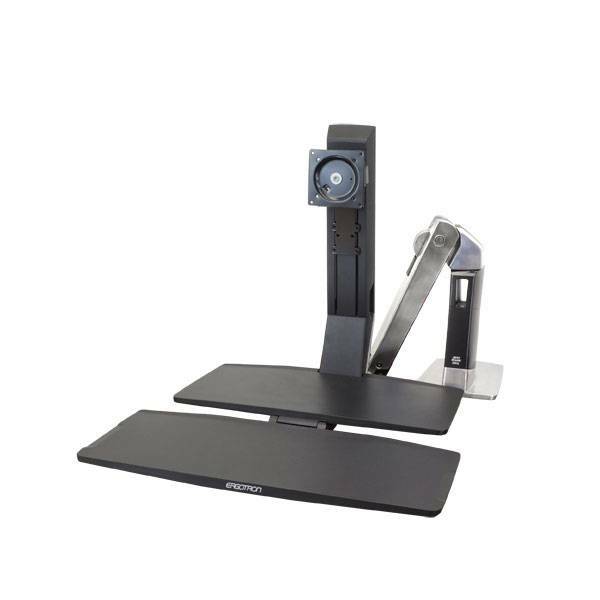 - Modify existing office spaces or cubes by simply clamping a WorkFit on an existing worksurface, without the cost of expensive professional installers. - Safe and neat routing of cables. 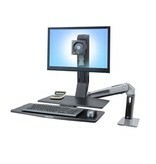 - For HR/Risk Management and Company Cost Savings. 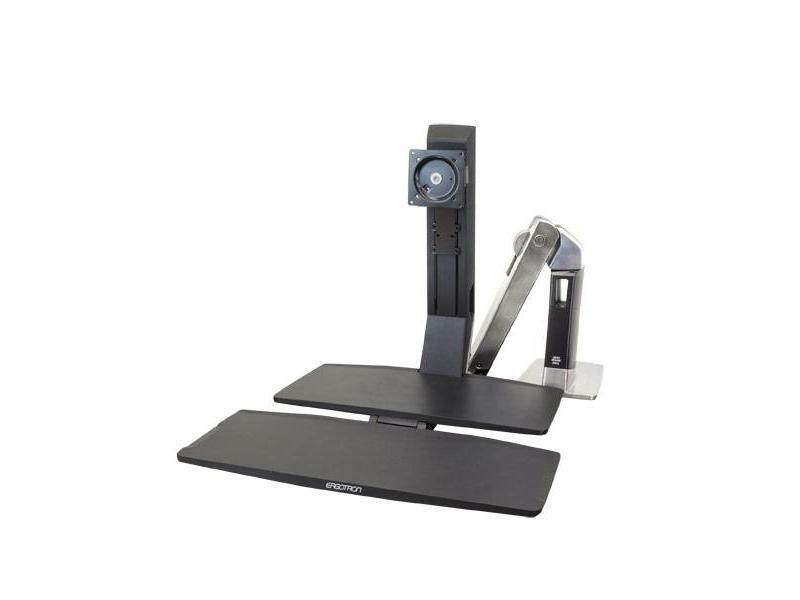 - Provide standing work platforms for employees without having to buy expensive height-adjustable chairs. 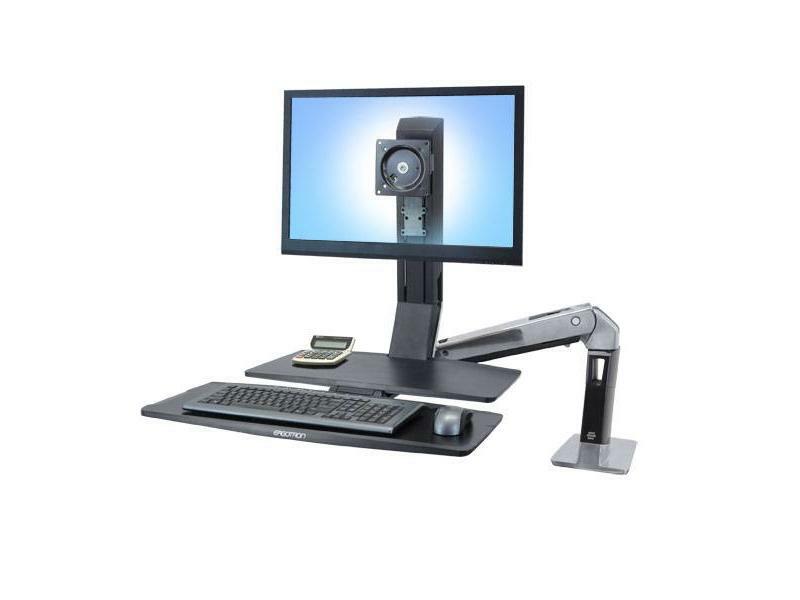 - Comfortable computing offers provable ROI on investment—healthcare costs associated with unhealthy computing and missed time are reduced while productivity increases. 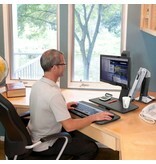 - Standing supports healthy neck and back conditions. According to the 2007 OE Medicine Journal, back and neck pain are cited as the most costly conditions affecting employees. - Studies in office ergonomics show productivity increases of 12%–18% following an ergonomic intervention where employees are provided with well-designed ergonomic furniture.